Excalibur comes with a 10 gal. tank, 68" x 32 prop, brakes, electric starter, tires, Hegar style wheels, streamlined aluminium struts, military type seat belts and shoulder harnesses. 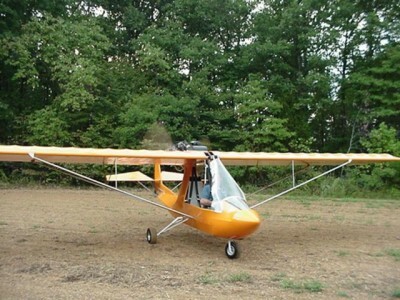 Power is supplied by a Rotax 503 air cooled 52HP engine in an upright engine installation, and comes with shock cord landing gear, fibreglass nosecone, and a clear or tinted windshield. Only AN or Military spec hardware are used. Lightweight 1.8oz Superflight fabric is extremely popular, durable and easy to apply to the airframe, wings, and tail sections. Excalibur has extremely responsive three axis controls, and is well suited for short field take-offs and landings. The Excalibur is also capable of soaring.